When clients call and we start planning a session, my goal is always to create images that mean something now and will mean even more when you look back 20 or 40 years from now! 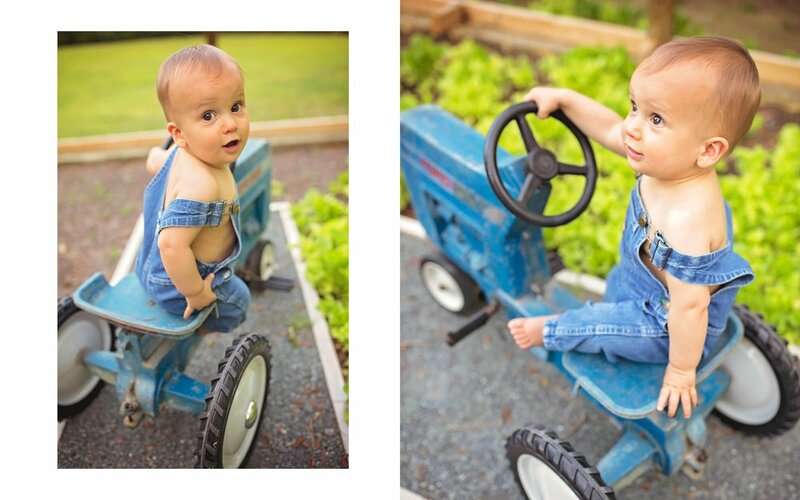 When Henry's mama called and said her baby was about to be one and she had some special items she wanted to use, I had no idea that it would be this swoon-worthy tractor and little overalls that were Henry's father's! His dad had photos made with this same tractor! It would be so cool to see them side by side! Isn't Henry cute in his grandpa's garden! 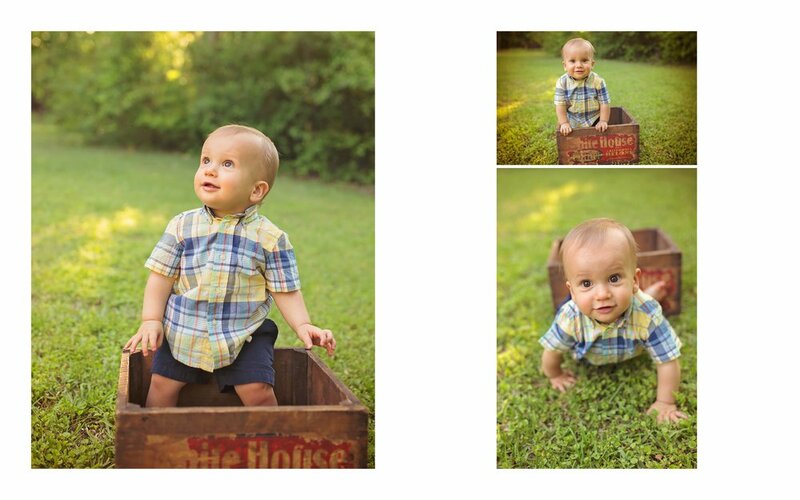 And nothing cuter than a little red wagon! Henry wasn't walking yet when we had our session but he was certainly on the move! We could not have asked for a more beautiful evening!